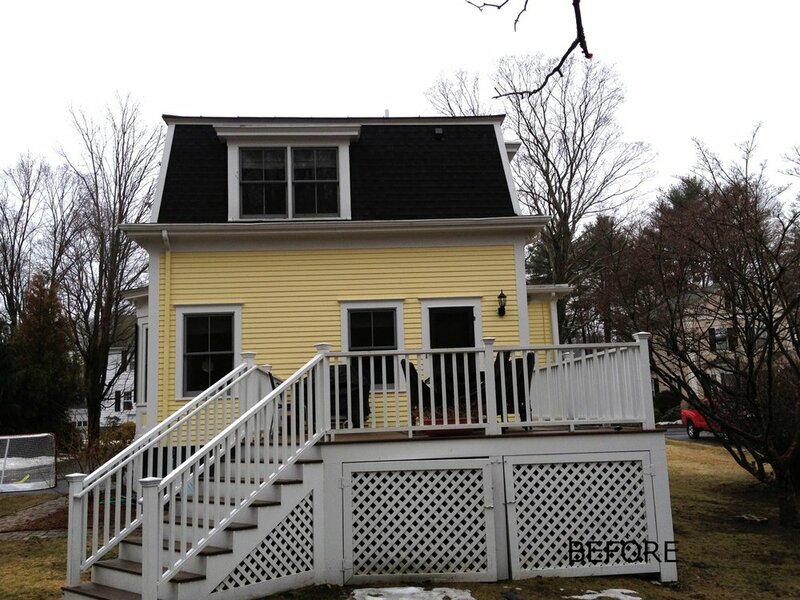 Expand and renovate this single family home in a historic district and add a two car garage. 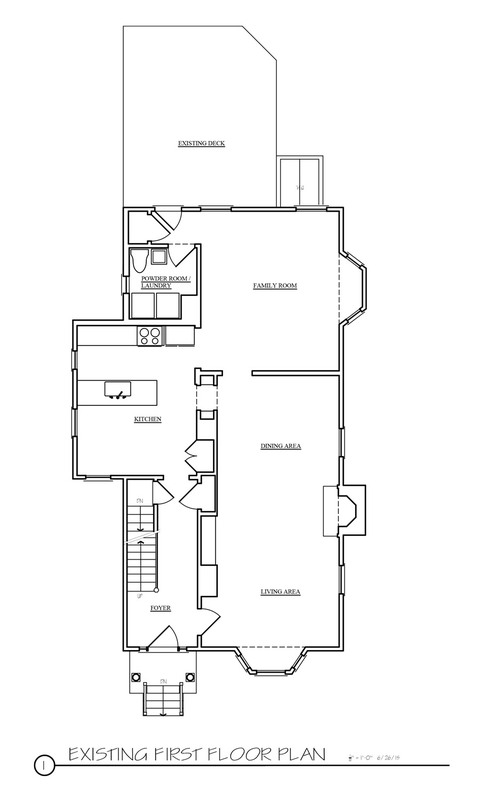 First Floor Existing: 1,086 sq. 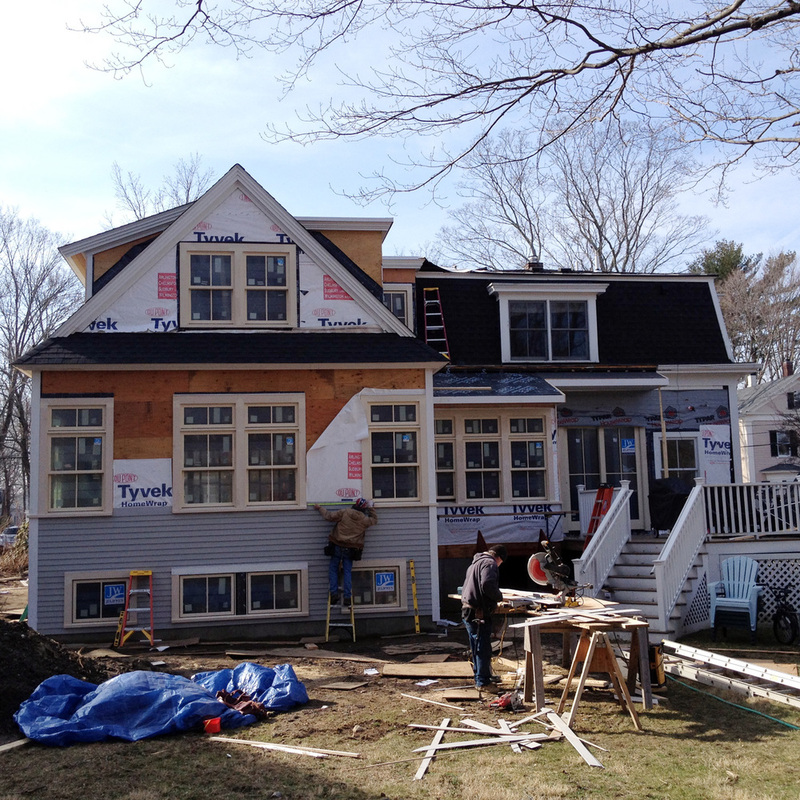 ft.
Second Floor: Addition: 751 sq. 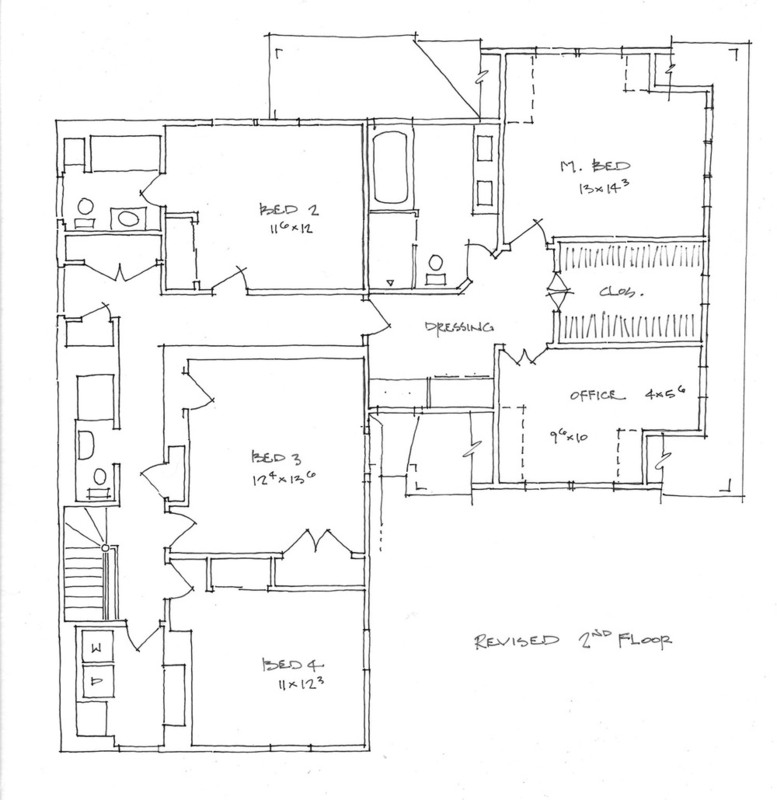 ft.
Second Floor Existing: 979 sq. ft. Despite an addition put on by a previous owner, this petite home was stretched thin by its current young family of five. Any addition being considered would require a special permit from the Zoning Board of Appeals (ZBA) because the siting of the home and its lot are non-conforming. Approval from the Historic District Commission (HDC) of Lexington would also be required. Incite has extensive experience with both of these processes, but successful outcomes are never certain. 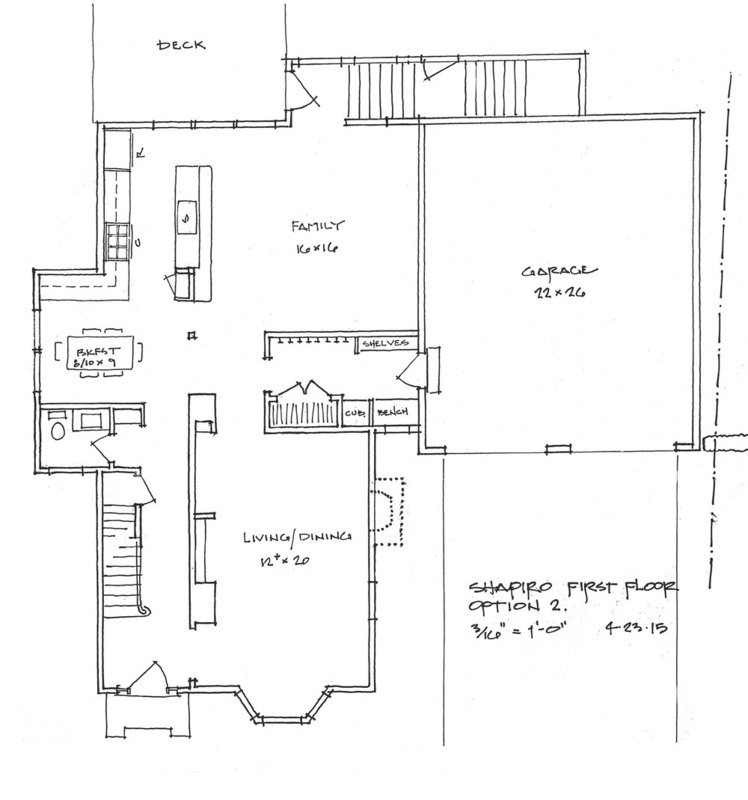 We planned the proposed additions to conform with current zoning requirements while minimizing the impact on the historic character of the original structure. A survey of the neighborhood revealed a precedent of barns or carriage houses as accessory structures to the primary homes. 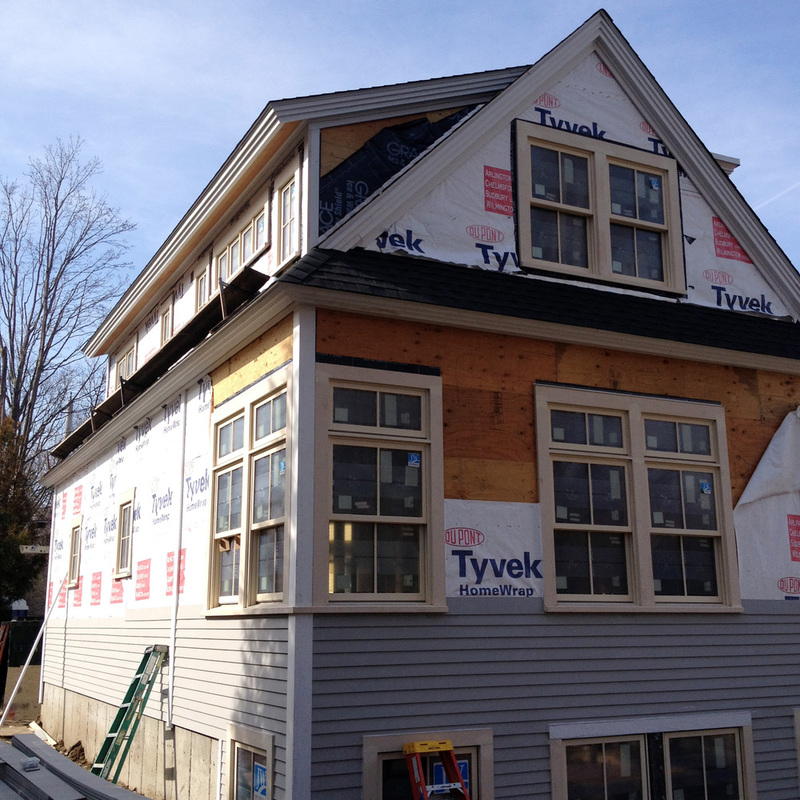 The bulk of our addition appears as a carriage house from the street with a modest mansard connector. It was also important for this family that we not encroach on the backyard play space and garden. 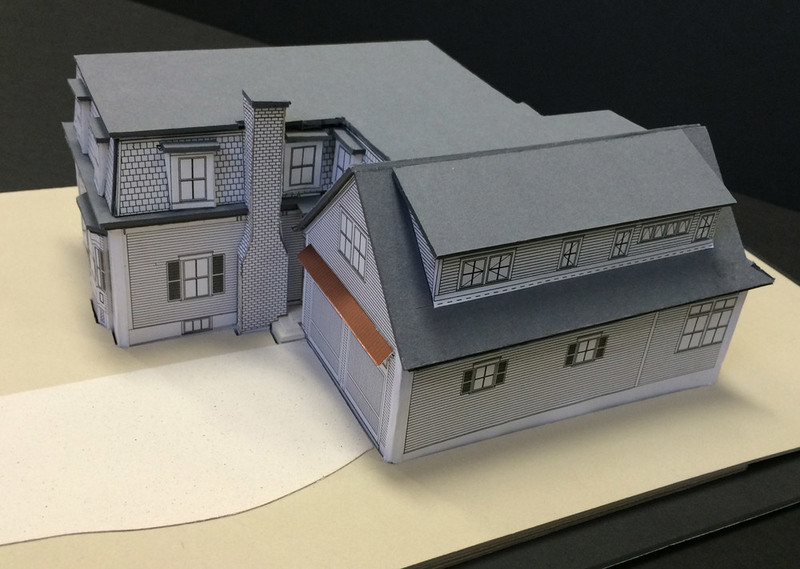 The final design, approved by both the ZBA and HDC, increases the habitable space of the home by 58% along with the addition of a two car garage. 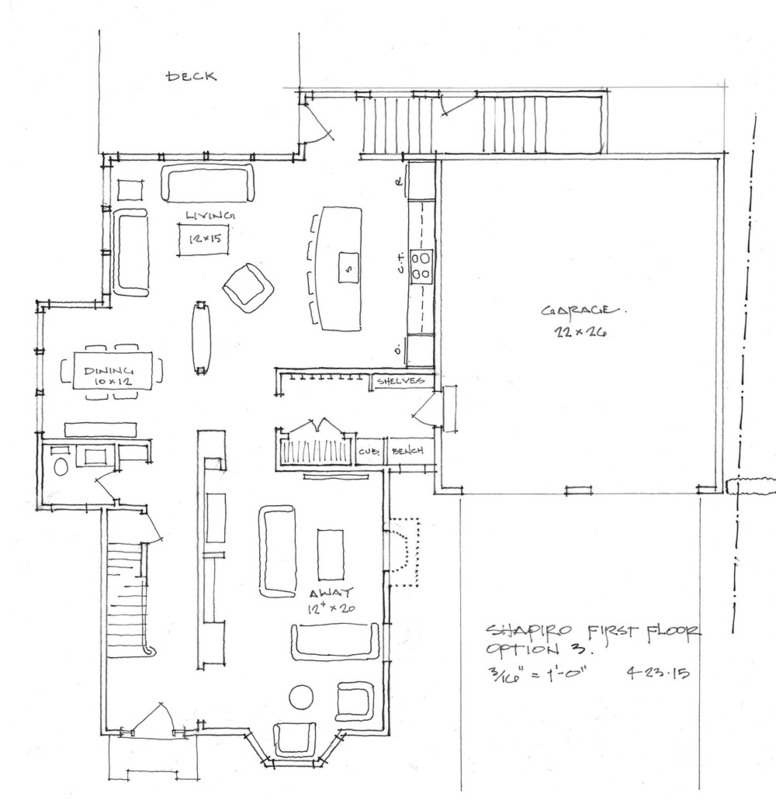 The renovated interiors open the Kitchen, Family Room, and Playroom to the rear deck and yard.